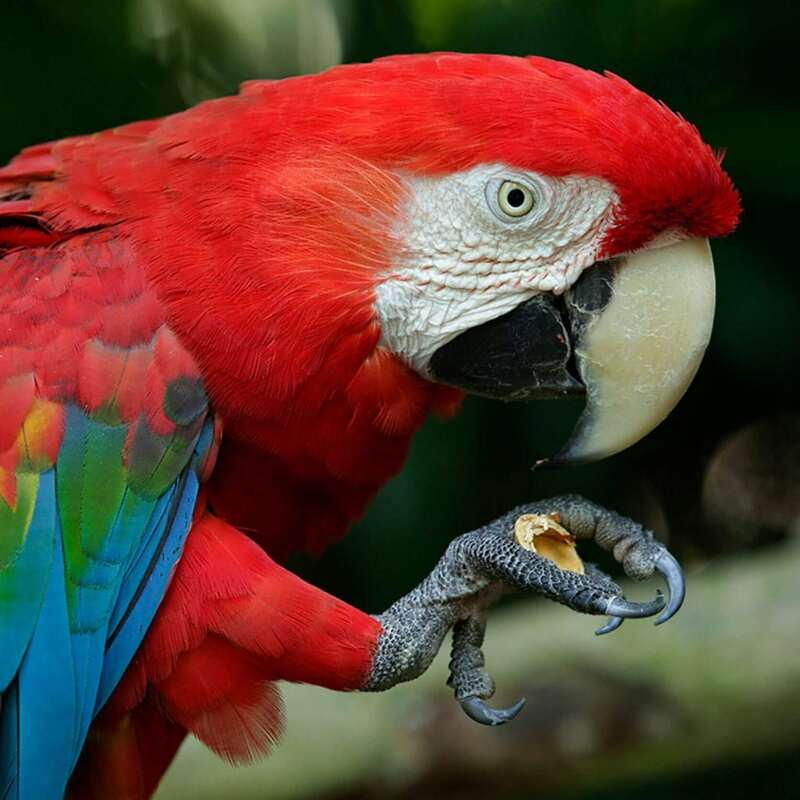 Macaws are king-sized members of the parrot family and have typical parrot features. Their large, strong, curved beaks are designed to crush nuts and seeds. Their strong, agile toes are used like hands to grasp things. Loud, screeching and squawking voices help make their presence known in dense rain forests. Find out more!